Lou Piniella is and will be for the foreseeable future (the Mariners aren't winning a World Series anytime soon under Scott Servais) the best Seattle Mariners manager of all time. He led the Mariners to several playoff victories, achieved a 116 win season, and provided plenty of amusement with his on-the-field fits. 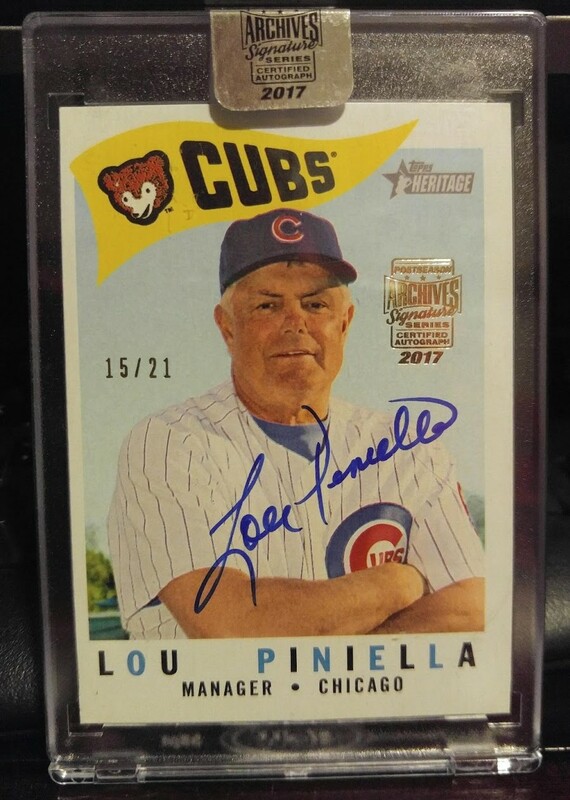 I was browsing eBay for inexpensive 2017 Topps Archives Signature Series cards when I saw this beautiful Piniella auto on a 2009 Topps Archives card. 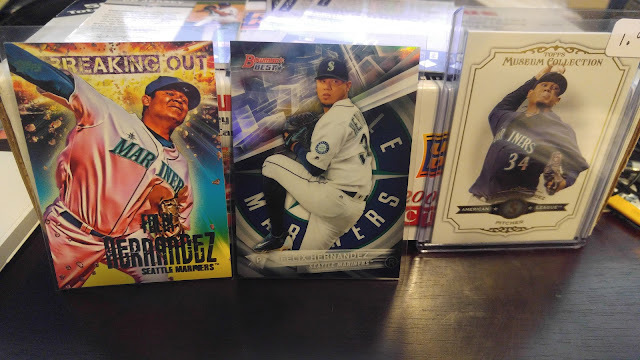 Although it is not him in a Mariners uniform, the card was too nice looking to pass over. 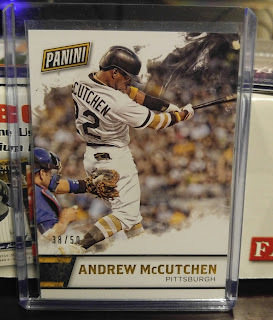 Unfortunately there were no cheap cards of him with the Mariners. Aesthetically I like how the colors are bright and the blue signature matches the design well. His penmanship is pleasing as well. As a bonus the card itself is in good condition. Not that I will be taking it out of its case. The card set me back $13 which is pretty good considering it came out of a $40 box. This marks my first Lou Piniella autograph. You may or may not have noticed my absence from blogging over the past few weeks. It has all been for a very good reason. On October 10, my wife gave birth to a healthy baby boy named Theodore. Since then my life has been occupied with 3AM feedings, daytime naps, poopy diapers, and the occasional videogame to de-stress (Super Mario Odyssey is awesome btw). I haven't even had time to keep up with reading blogs. Newborns are supposed to feed at least every 3 hours so I figured I would have time in between those feedings to do card related stuff. Nope. In between taking care of myself, my recovering wife, and making sure household chores don't pile up, time goes by quickly. Now at the almost 1 month mark, things are normalizing somewhat. My wife was even gracious enough to let me attend my local bi-annual card show. The largest purchase of the day (literally) was a complete set of 2008 Upper Deck First Edition. The big draw here was the price: $5. 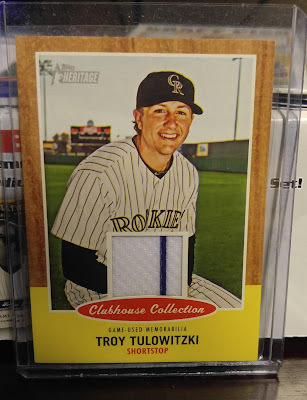 The design is decent enough but the real kicker was the inclusion of a relic card. It's not a card show without picking up a few additions for my Felix Hernandez collection. I love picking up Topps Museum cards on the cheap ($1) considering these are from a high-end set. The playing window on Felix is closing soon. He deserves the respect of being an opening day starter but next year he might be pushed back to #2. That will be a sad day. 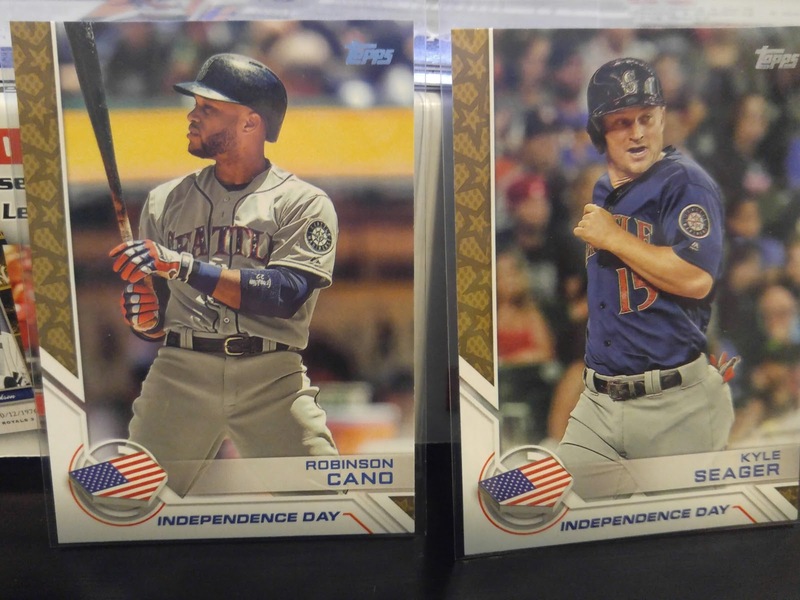 These cards are from this year's Topps flagship set. Gimmicky as they are, I enjoy seeing players in their holiday/special event jerseys. 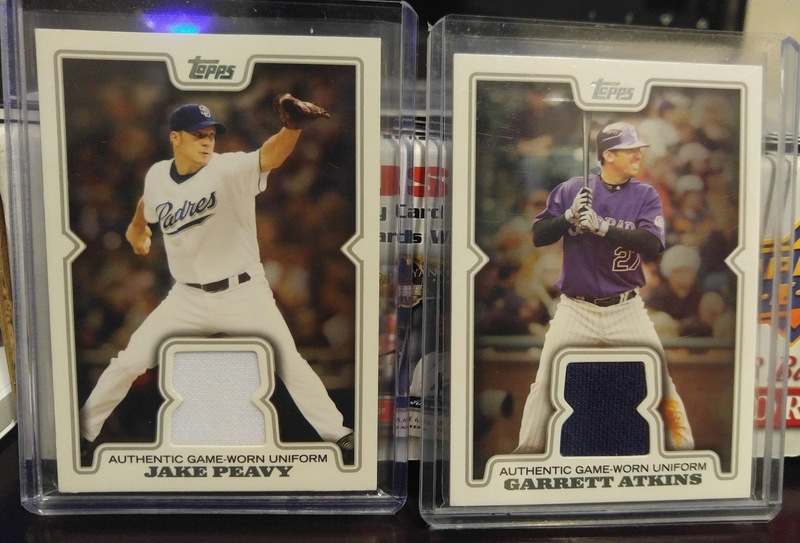 When I get several more cards of these alternate jerseys I'll have to branch them out into their own PC. 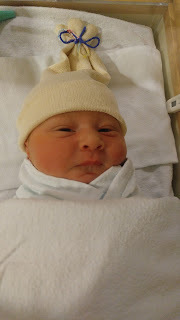 With the birth of my son, I've added a few players to my collection roster. I'm collecting players who share a birthday with my son. I plan to expand upon this idea in a separate post to come later. 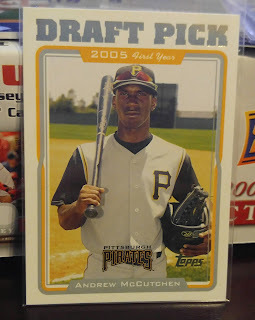 Andrew McCutchen is a great player and I'm excited to start collecting him. 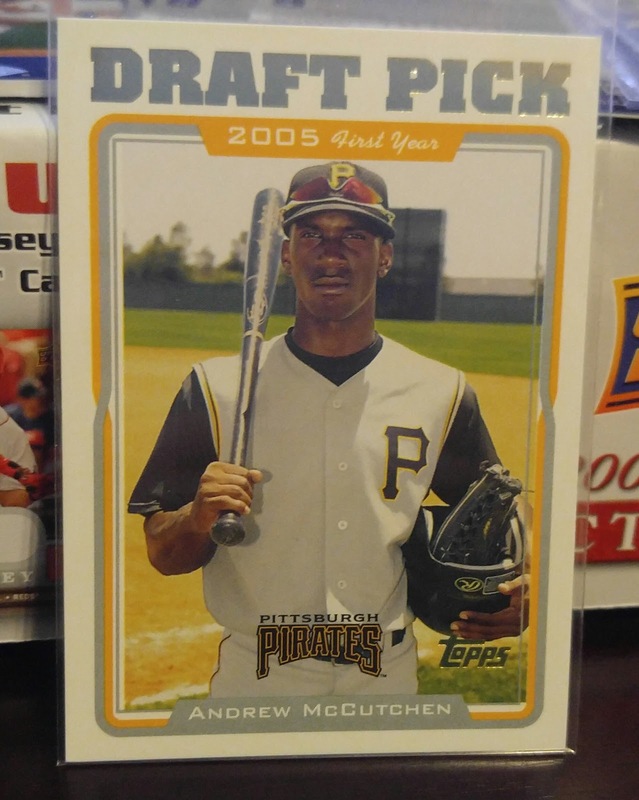 I don't know if this 2005 Topps Update card counts as his first rookie card but either way, it's a nice looking card. The card on the right is from Panini's 2016 Father's Day promo set. It is the thick stock parallel numbered to 50. For only $1 it was an easy pick up. Troy Tulowitzki is another player who shares a birthday with my son. Tulowitzki had a down year last year with the Blue Jays, which hopefully will help soften the price on some of his cards. Typically I stay away from collecting Griffey in a Reds uniform. I'm not upset or anything that he left Seattle, it's just that with so many Griffey cards I need some focus. 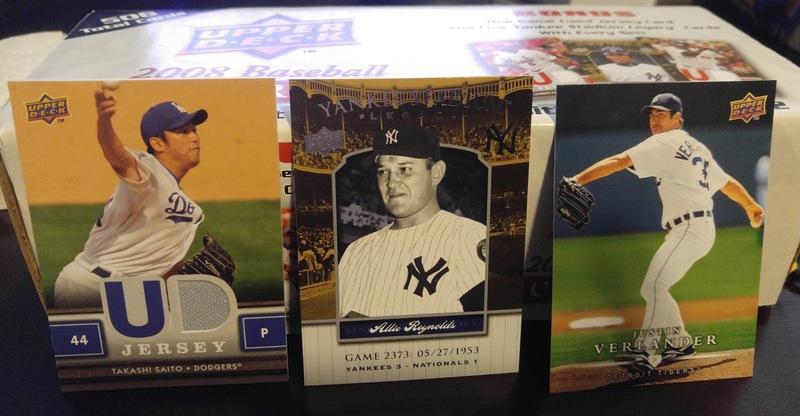 I made an exception for these cards since they feature the 2001 All-Star Game logo when it was held in Seattle. As a bonus, this is a two-card oddball set from Ritz/Oreo. The 2016 Panini Diamond Kings Rookie Signatures Silver is the only relic (and auto) set I plan to complete. I have over half the set and was surprised to see a set need show up at the show. 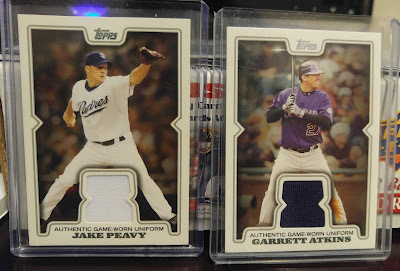 Retail relics from 2008 Topps. I love 2008 Topps. At the last card show I found a WSU Cougars Smokey set. As luck would have it, I found another set at this show. 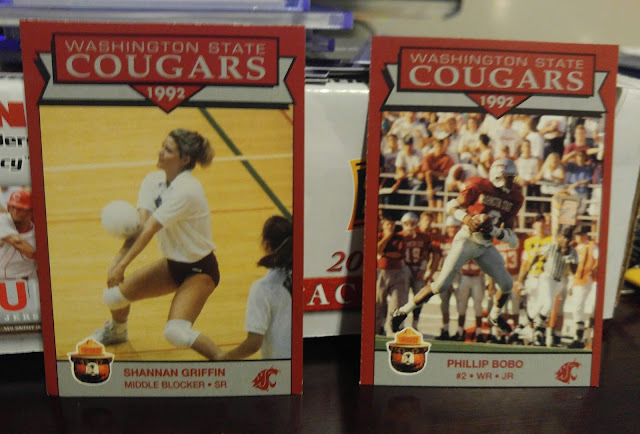 Since the cards are unnumbered I wasn't sure if I found the complete set or not. Unfortunately, after checking the Trading Card Database, I discovered I am one card short: Drew Bledsoe. It will be difficult to find that card available as a single so I might have to purchase a complete set. Bummer. That wraps up my card show for this year. It was a nice feeling to get back into cards! Thanks for reading!